Some of the best destinations for tourists escaping cold weather can be exciting experiences if the correct precautions are followed to ensure a day in the sun does not end up being a bad memory. 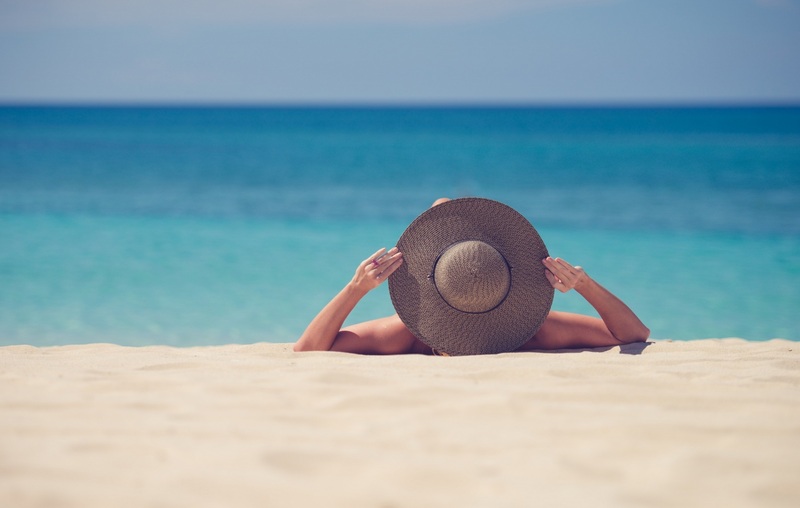 From the Caribbean on one side of the world all the way across to Australia where temperature extremes are likely, heat-seeking tourists must be mindful of the dangers of heat exposure in their quest to soak up the sun. It is important not to underestimate the perils of this picture-perfect weather. It’s no secret that Australia in January can hit brutal temperature highs that Australian Open tennis players know, having endured 111°F (44° C) temperatures while in competition. Organizers were proactive, halting play at one point because of the dangerous heat. No one will dispute that the weather everywhere is becoming extraordinary. According to the National Oceanic and Atmospheric Administration (NOAA), extreme heat claims more lives each year than many types of natural disasters like hurricanes and flooding altogether. Even European countries experienced a heat wave in 2017. Here are some holiday tips for beating the heat and returning home with a tan and a broad smile. Avoiding sunburn is essential, so use hypoallergenic sunscreen — those sensitive to ingredients such as parabens found in many sunscreens can look for a hypoallergenic version. Apply sunscreen 20 minutes before going out in the sun. Pay extra attention to under the swimsuit straps as the sunscreen may rub off and areas like the tops of feet, ears and hands. And remember, sunscreen needs to be reapplied after swimming and after drying off with a towel. It is recommended that people, especially those in high-risk groups, should remain in an air-conditioned place between 2 p.m. and 5 p.m. Set the hotel air conditioning around 60.8-64.4° F and take a siesta. Take a hint from the locals in any hot climate; you won’t see them taking a stroll in the midday sun or going for a jog along the beach at 2 p.m. When not splashing around happily in the ocean or pool, wear loose clothing, shun sleeves for summer straps and avoid man-made fibers to add another level of comfort. Showering twice a day is also an added defense. But perhaps most importantly, stay hydrated. Also, avoid too much alcohol and caffeine — these diuretics can cancel out your efforts to remain hydrated. Heat emergencies are characterized by heat cramps, heat exhaustion and heatstroke. Such progressive stages are not to be taken lightly, with heatstroke being the most serious. Note that heat cramps are the first stage of a heat emergency, usually seen in people who have exercised in extreme temperatures or are heavy drinkers. If you experience muscle pain and tightness take the necessary actions to avoid worsening. Some of the symptoms of heat exhaustion include dizziness, muscle cramps, headache, extreme thirst, vomiting, heavy sweating, heavy sweating or fainting. Heatstroke has all the above symptoms plus a body temperature of 105° F, characterized by confusion, rapid, shallow breathing and a weak pulse, seizures and a loss of consciousness. It should be noted that sweating may or may not be present in a heatstroke. Be vigilant and learn to recognize heat-related emergencies that can mar your paradise getaway. And just as importantly, familiarize yourself with techniques to deal with these heat-related problems by making sure you know how to treat a heat emergency. Remember to protect yourself by staying hydrated and avoiding risky activities that can destroy a sunny vacation.